If you forecast a preventable disaster, identify evasive action but fail to implement it, the unpleasant outcome ceases to be a forecast and becomes your current reality. And so it has been with climate change. The warnings of scientists 30 or 40 years ago could be dismissed, and they were, as alarmist. The forecasts might be wrong and anyway, there was plenty of time to take preventive measures. An important report released in Washington last Friday week confirms the repeated findings of the UN's climate panel: the consequences of inaction mean that climate change is already having widespread and observable negative impacts. The forecasts have become reality and the increased frequency of severe weather events will get worse. The cost of preventive measures will rise the longer they are delayed. When the legislation was passed (unanimously) in the Senate, one of its sponsors, Senator Ernest Hollings, had this to say: "The problem we face is potentially enormous. 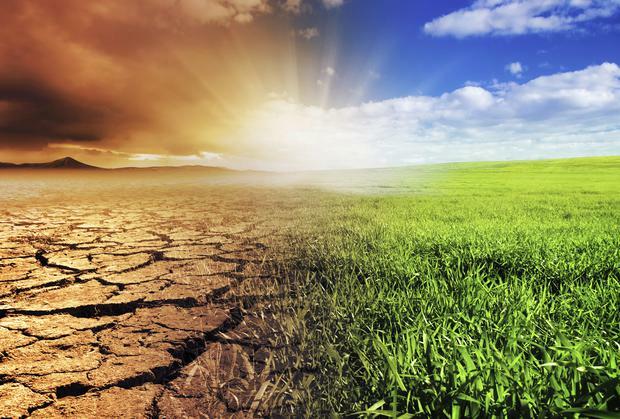 Global warming could radically change world climate and world agriculture…We need a determined and coordinated research effort, both here in the US and with other nations, to get the facts about the exact causes and consequences of global change. For our children and grandchildren, now is the time to start that effort." Almost 30 years later, the evidence has been assembled and the problem is no longer "potentially enormous". The coordinated research effort called for by Senator Hollings has been overseen by the UN Intergovernmental Panel on Climate Change, much of it undertaken in the United States. This is the principal conclusion of the latest US report: "Global climate is changing rapidly compared to the pace of natural variations in climate that have occurred throughout Earth's history. Global average temperature has increased by about 1°C from 1901 to 2016, and observational evidence does not support any credible natural explanations for this amount of warming: instead the evidence consistently points to human activities, especially emissions of greenhouse or heat-trapping gases, as the dominant cause." This conclusion (note the use of the current tense - the climate is changing rapidly) coincides with the repeated findings of the UN panel, one of the largest collaborative research projects ever undertaken and involving thousands of scientists from around the world. Climate change is an established pattern, already observable, and forecast to intensify unless global action is accelerated. That action, say the scientists, should be focused on reducing the combustion of fossil fuels on a global basis. Climate scientists, engineers and economists have established that preventive action becomes costlier the longer it is delayed. In the face of such a consensus of evidence, it takes a brave politician to reverse current policies, particularly when these policies are already proving inadequate. There will be no success in addressing climate change unless action is taken globally: the planet has just one atmosphere and all carbon emissions affect it in similar fashion. The greatest responsibility rests with the largest emitters, China and the United States. If these countries do too little, it barely matters what is done in small countries. Ireland's annual emissions from fuel combustion equate to about two days' emissions in the USA, or just a day and a half for China. Since taking office, Donald Trump's administration has reversed certain emission-reducing measures introduced by the Obama administration, he has withdrawn the US from the Paris agreement and has cast himself as a champion of the declining Appalachian coal industry. Neither the Obama measures nor the Paris agreement were in any case an adequate response to the scale of the climate threat. Trump gave an off-the-cuff response to the new report to John Dawsey of the Washington Post, reproduced here without comment. "One of the problems that a lot of people like myself, we have very high levels of intelligence, but we're not necessarily such believers. You look at our air and our water and it's right now at a record clean. "But when you look at China and you look at parts of Asia and when you look at South America, and when you look at many other places in this world, including Russia, including - just many other places - the air is incredibly dirty. "And when you're talking about an atmosphere, oceans are very small. And it blows over and it sails over. I mean, we take thousands of tons of garbage off our beaches all the time that comes over from Asia. It just flows right down the Pacific, it flows, and we say where does this come from. And it takes many people to start off with. "Number two, if you go back and if you look at articles, they talked about global freezing, they talked about at some point the planets could have freeze to death, then it's going to die of heat exhaustion. There is movement in the atmosphere. There's no question. As to whether or not it's man-made and whether or not the effects you're talking about are there, I don't see it - not nearly like it is. "Do we want clean water? Absolutely. Do we want clean air to breathe? Absolutely. The fire in California, where I was, if you looked at the floor, the floor of the fire, they have trees that were fallen, they did no forest management, no forest management, and you can light - you can take a match like this and you can light a tree trunk when that thing is laying there for more than 14 or 15 months. And it's a massive problem in California." A meeting of the parties (almost all the countries in the world) to the UN Convention on Climate Change convenes today in Katowice, in southern Poland. Expectations are low, and the US delegation will face quite a challenge in agreeing a communique in view of the president's insights. Delegates can relieve the tedium by visiting the large coal-fired power stations in the region. Polish power generation is 80pc reliant on coal, the government is contemplating the construction of a new unit and has been resisting EU efforts to scale back on burning coal, the most carbon-intensive of the major fossil fuels. If Trump wins re-election in 2020, it will be six years before any kind of concerted international action - the only kind that will work - gets to be taken. If he loses' there is no guarantee that the winning ticket will include climate action. An effective global policy needs agreement between three key players, the USA, China and the European Union, with gentle threats to others to join the club. Unfortunately, the only one of the three with any conviction is the European Union, where per capita emissions have already been reduced to half the US level. Donald Trump's 2016 election win is going to prove expensive.